God bless you more abundantly is my continuing prayer for you. I am taking this opportunity to publically say, Thank you all for being there for me and the SOLF Church Family for 13 beautiful years. Although 2010 was a year of new endeavors and a true walk of faith for us as we moved our local Bronx, New York Church to Westchester County. Yet, I have no regrets because we did it God's way, i.e., at His directive. The Spirit Of Life Fellowship ministry is expanding its outreach with a greater impact at this time in Pakistan and East Africa (Kenya and Uganda). Pastors are pleading for me to come and provide leadership training at their Churches. My Indian brethren are in touch with me almost daily. Both adults and children are praying fervently! We are seeing good results. The need among the orphans and widows is great and I thank God for the wonderful way He is helping SOLF to provide periodic benevolence to assist the poor. The financial gifts of our faithful partners is making it possible to feed the hungry, clothe the naked, pay for medicines, vitamins, first aid items and personal care products. SOLF's Random Benevolence Pool Program is an effective means of distributing finances where most needed. Our Media Ministry is providing Holy Bibles, tracts, books, devotionals, pens and pencils for Churches, Literature Outreach Ministries, Social Welfare Agencies and Missionaries on the move. The tracts are currently printed in English, Telugu and Hindi. Our Apostle Ralph Eze's books on Spiritual Warfare are now printed in both English and Swahili. We never cease to remember to pray for the peace of Jerusalem! As a matter of fact, SOLF is now a supporter (with Membership) of Christians United For Israel working under the direction of renown Founder and Chairman, Pastor John Hagee of Arlington, Texas. Evangelist Eze and wife Tochi have been faithfully serving the poor in Abia State, Nigeria, West Africa. 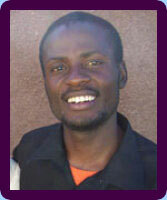 Eze serves as Chaplain of the Obingwa Local Government Area. He was appointed by Chairman Elder Godwin Obioma Nna. 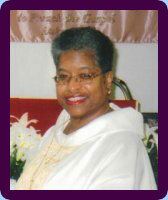 Mrs. Lolo Obioma Nna (wife of the Chariman) successfully coordinated a 2011 Prayer Day for Governor T.A. Orji with Evangelist Eze. Deaconess Honorable Mrs. Ijeoma Ngozi, A SOLM for the Poor Prayer Partner is woman leader of Obingwa and Counselor in the L.G.A. Bishop Dr. Valli has been invited to Abia state to come and provide training for government leaders there. Eze has served with Bishop Dr. Valli for 8 years. Bishop Dr. Valli has been invited to Abia state to come and provide training for government leaders there. The Mother Bishop is planning a visit with Her Excellency Chief Mrs. Odochi Orgi (First Lady of Abia State) when we host Mission West Africa. Plans are being made to open a Bible Institute for leadership training under the oversight of Her Grace Bishop Dr. Valli and Evangelist Eze Foy Walton. This will begin as a Certificate and Diploma Program that will be expanded into a two year college degree program. God is on the move in Nigeria! Apostle Gideon Mudenyo is a committed Prayer Warrior for SOLF and faithful traveling evangelist of The Lord's Ministries, Kenya, East Africa. He is a Chief Intercessor for Bishop Dr. Valli and works throughout Kenya with local pastors to spread the Good News ministering to the poor and a lost and dying generation. There they host many evangelistic crusades and leadership training sessions. After evangelism, the ministry provides tracts and bibles to new converts and if there is no church in the vicinity TLC will plant one. The need is great and Pastor Mudenyo along with a great Team of other men and women of God is training many leaders to take part in their efforts. Apostle Mudenyo is anointed of God to heal the sick, cast out devils and put the witch doctors to flight! He has also seen many witch doctors come to the Lord following great signs and wonders by the Holy Spirit during his ministration. He serves as Chief Ministry Field Correspondent for Missions in Kenya, East Africa. He is happily married to wife, Evelyn who shares in this great work of missions. Apostle Bertram Agbanusi is SOLM's eastern Nigeria Leadership Director overseeing the Onitsha Office of Spirit of Life Mission. He has served faithfully with SOLF for 8 years and brings to the organization excellent administrative and managerial skills. Apostle Berty as he is commonly called is a great Evangelist and World Missionary. He engages in very large crusades within towns and villages throughout Nigeria and other African nations as well as Asia. Many crusades and healing services have touched the people of India in a mighty way. To God be all the glory! Monthly skills development sessions coupled with prayer are hosted through SOLM Onitsha where ministers come to be trained for effective evangelism and missions. The atmosphere is one that creates awareness and passion for souls that are perishing. This work is joined with Berty Agbanusi World Outreach Ministries. Follow up with Christian discipleship is co-ordinated through the Macedonia Endtime Ministry. Apostle Berty is a man of God who is honest, faithful and accountable. His ministry records are impeccable! 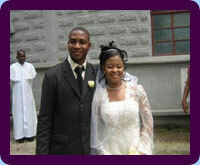 He is married to a wonderful woman of God, Mrs. Kate Ijeoma Agbanusi. Rev. 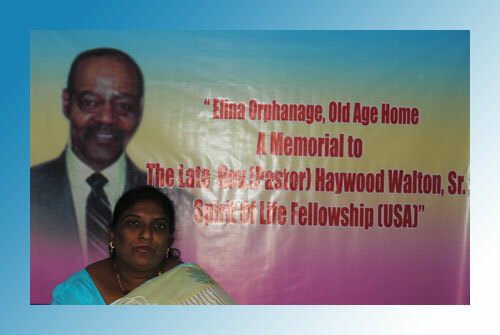 Dr. S. Hannah Nesmani and husband Rev. 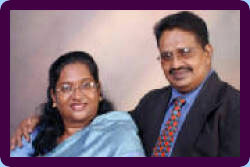 S. Thambi are the Directors of Spirit of Life Mission — Chennai, South India. Their mission helps the poor throughout India with great impact upon the youth, women [including widows], and children and among the dalits. They work in the leper colonies and also provide leadership and job skills training to many. SOLM Chennai is the coordinating local office within India where umbrella ministries may receive prayer and attend local meetings. Certain administrative items and requests for children's clothing may also be funneled through Chennai. SOLM Chennai assists many orphaned children at Hannah's Home. They remain faithful, committed, loyal co-laborers with Spirit Of Life Fellowship (USA) after 10 years and lovingly call upon the Bishop as, "Mother". "To proclaim the message and demonstration of the power of the Gospel through preaching and teaching of the Word of God as expressed in the Holy Bible. This message is one of the newness of life and deliverance for those who believe in the resurrected Christ, Jesus of Nazareth, who is the only begotten Son of God the Father Almighty, Maker of heaven and earth and Sustainer of all things." SOLF is an International, non-denominational Christian teaching and healing ministry with a strong Charismatic focus. The ministry emphasizes prayer, world evangelism, healing and encouragement within the body of Christ to raise the people to a level of spiritual maturity and fullness in the Lord Jesus Christ. It is SOLF's goal to "seek and save" those who are lost and to prepare God's people for service and leadership both spiritually and within the secular community. Those commissioned through the ministry are empowered by the Holy Spirit of witness locally, nationally and to the end of the earth; Jesus Christ, having equipped His Church with all the necessary spiritual gifts for her growth.